Next month people from all over who care about eliminating violence against women will come together in solidarity against female genital mutilation (FGM)! Join US survivors of female genital mutilation (also known as female circumcision), on Saturday, September 15, 2012 for a 5K walk at Riverside Park, Manhattan';s most spectacular waterfront park, stretching four miles from 72nd to 158th Streets along the Hudson River. Our goal is to raise awareness on FGM and $100,000.00 towards supplying medical equipment and supplies to the first free hospital to provide treatment and genital reconstruction to victims of FGM. We will also have available products from the womens economic empowerment program of our partner, SAWA Association in Giza, Egypt to help the fight against female genital mutilation in Egypt where the prevalence of the practice is 97%. Every 16 seconds a girl is genitally mutilated. Over 140 million worlwide and 3 million every year. This event will also help raise awareness on the prevalence of FGM in the United States where ther are over 300,000 reported cased of FGM and over 30,000 girls are at risk every year even though a federal law was passed against it in 1997, the practice continues. New Yorkers need to be made aware that New York has the second highest number of FGM victims after California. Come and be a voice for the voiceless! CAGeM works to eradicate FGM and protect potential victims. We are also committed to raising funds to building free hospitals where women and children marred by the results of female genital mutilation can seek refuge. 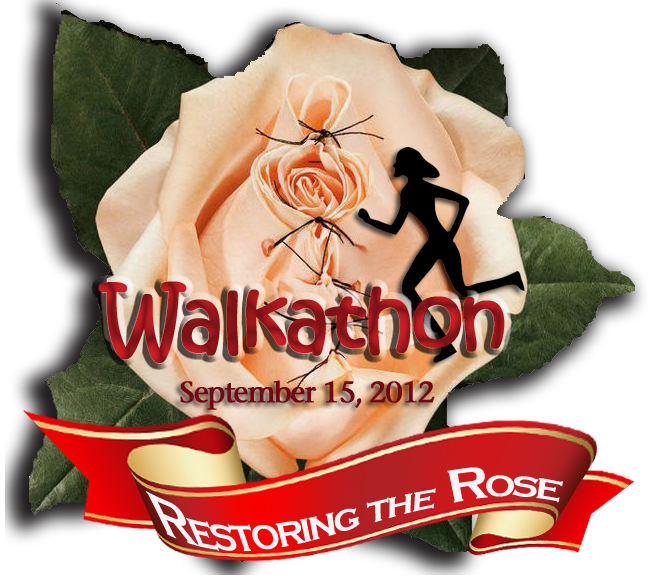 500 walkers x $200.00 each = $100,000.00. When you register, you will be given the opportunity to start fundraising for the walk-a-thon by setting up your own fundraising page where you can collect donations to help you meet your fundraising goals. PLEASE SELECT "FUNDRAISE FOR CAGEM" WHEN YOU REGISTER. Prizes will be awarded to the top 3 individual fundraisers and teams. Free food and beverages will be available to all walkers after the event. There will be music and opportunities to meet with sponsors and celebrities who support CAGeM. We are confident we will reach our goal with your support. We encourage you to reach out to family, friends and businesses, form a team or walk for a loved one. We believe there is strength in numbers. Thank you for your support. We are grateful! Rain or shine!!! Help us end this brutality, treat victims, and protect potential victims. Thank you! Please email campaign@cagem.org with any questions.